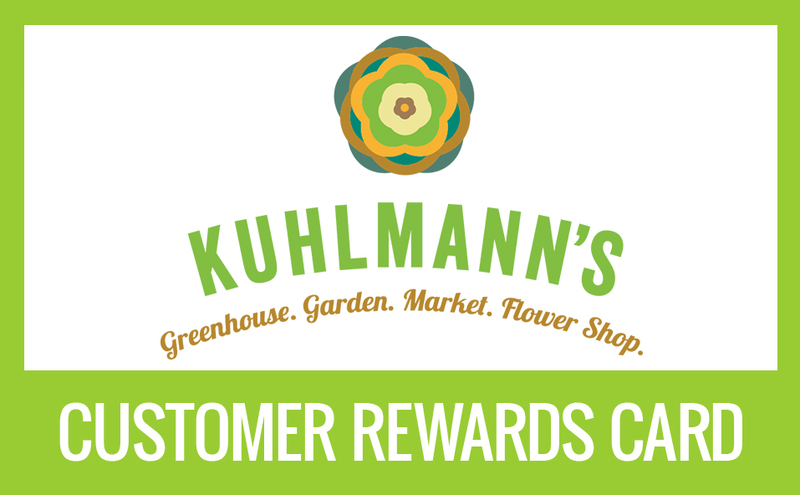 Visit kuhlmann's and ask for a rewards card at any cashier in the store and save with most purchases in store. Not valid for on-line purchases. For each $25.00 purchase you will recieve one stamp. When your card is full, kuhlmann's will send you a $50.00 Gift Certificate and a new Rewards Card to you by mail. Cannot be combined with purchasing a gift certificate. Cannot be used for custom orders.